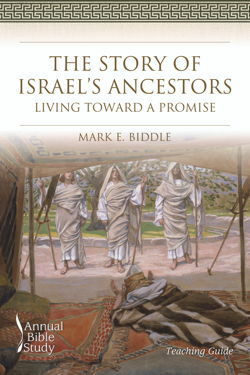 The Story of Israel’s Ancestors: Living toward a Promise is a four-session Bible study for individuals and groups. Family stories are important in helping us know who we are. They affirm core values, honor family strengths, and reflect family pain; they help families and individual family members locate themselves in the world. They tell us where we came from and remind us of where we hope to go. Genesis 12–36 contains a cycle of stories about the first three generations of Israel’s ancestors. They record not just the beginnings of a single family but the beginnings of whole nations, particularly Israel. For more than two thousand years, Jews, Christians, and Muslims all over the world have looked to Abraham’s example. In times of distress, they have taken comfort in God’s assurances to Hagar and Ishmael that God would not abandon them in the world. And, when finding themselves in a moment of struggle with their faith and their God, they have recalled Jacob’s contest with the mysterious figure on the banks of the Jabbok River. This Teaching Guide for the Smyth & Helwys Annual Bible Study of the ancestral narratives includes teaching options, suggested worship and sermon outlines, and approaches to leading discussions and group study. The study also includes relevant lesson plans for including children and youth in a congregational study. This Study Guide for the Smyth & Helwys Annual Bible Study on the ancestral narratives serves three purposes: to educate the learner on major issues of appropriate interpretation, to offer an overview of theological themes, and to build the learner’s Bible study skills by reviewing significant interpretations. Mark E. Biddle, a native of Ft. Payne, Alabama, and educated in the public schools of Orange County, Florida, and Dekalb County, Alabama, holds degrees from Samford University, the Southern Baptist Theological Seminary, Rueschlikon Baptist Theological Seminary, and the University of Zurich. 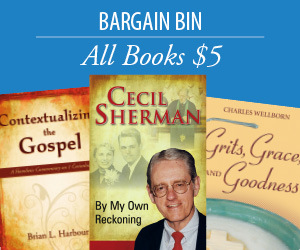 In addition to editing the Reading the Old Testament series, he is the author of Deuteronomy in the Smyth & Helwys Bible Commentary series, Reading Judges in the Reading the Old Testament series, and A Time to Laugh.